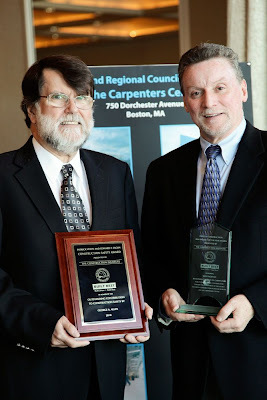 The Scholarship Sub-Committee of the New England Regional Council of Carpenters has established the guidelines for the eligibility, application, and awarding of scholarships for 2011. The official guidelines and application can be found here. Applicants should submit the completed essay, application form and most recent transcript of grades by 5:00 p.m. on April 15, 2011 to NERCC Scholarship, ATTN: Malerie Anderson, 750 Dorchester Ave., Boston, MA 02125. Applications received after April 15, 2011 will be ineligible. To eliminate bias, the scholarship committee is blind to the identity of the applicant. Essays are numerically coded to prevent any reader from having knowledge of the writer. 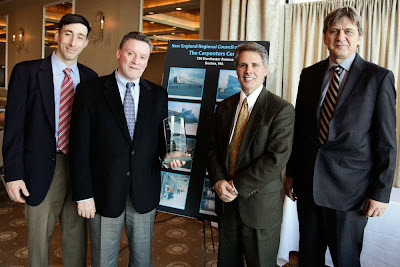 Winners of the top two prizes will be asked to read their essays at the June 2011 delegate meeting. Persons awarded first or second place in a prior year are ineligible for first or second place in subsequent years.